I called this photo “a test of discipline” because I like contrast in my pictures and that’s very easy to create with Photoshop. So it took some focused commitment to keep this scene very subtle in terms of reflecting what I saw that morning on the prairies of western Canada. I believe this “uncontrasty” photo is quite compelling because it’s easy to imagine entering the scene and fading away into the mist. 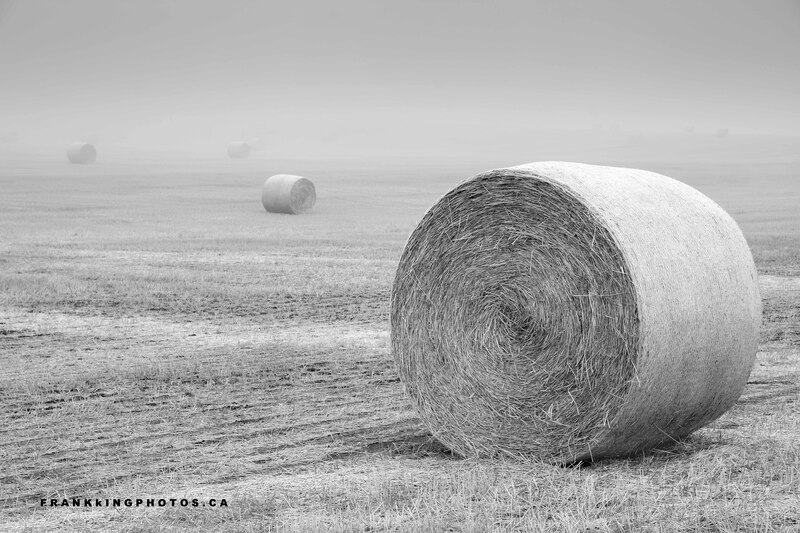 How many hay rolls can you count in the murky background?